Hambantota is famous for its salt flats and intensely hot arid zone climate. With sweeping sandy beaches on the side, it is a convenient base for exploring the nearby Bundala National Park, Yala National Park and the temples at Kataragama. Most inhabitants of Hambantota are Sinhalese and Malays. 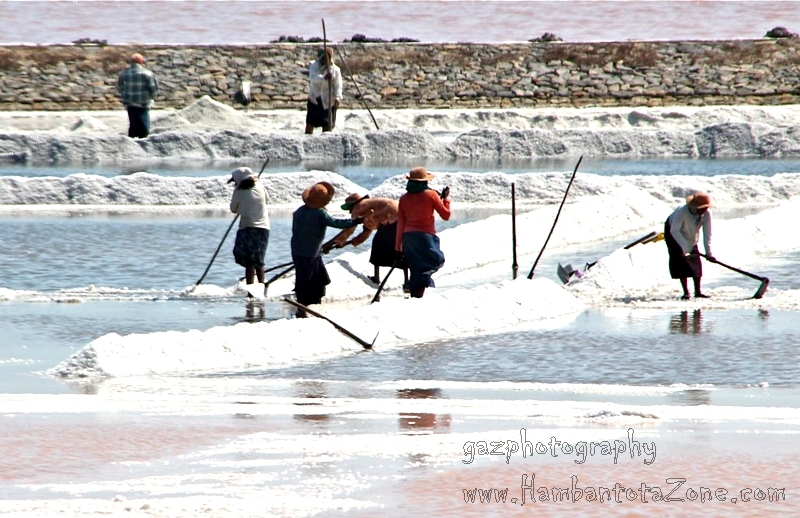 On the way to Kataragama you can see this Salt Lake produces most of the Salt needed for Sri Lanka for centuries. Maha Levaya, Koholankale Levaya, Malala Levaya,Ambikkala Levaya, Bundala Levaya are parts of the Salt Lake.